It’s probably the last thing you check before you go to bed and one of the first things you check when you wake up: did anyone subscribe to my email list? 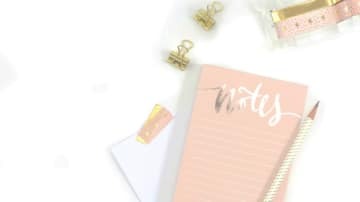 Now that you’ve started a blog and you intend to monetize your blog, you know that creating an email list is important. 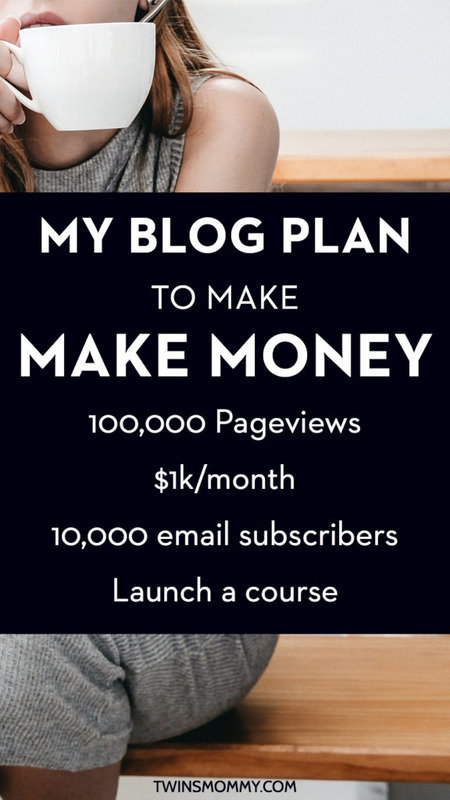 But, bloggers know that what’s indicative of your success is if that email list grows daily. It’s true when you hear the money is in the list. Email converts higher than any other social media platform for sales. 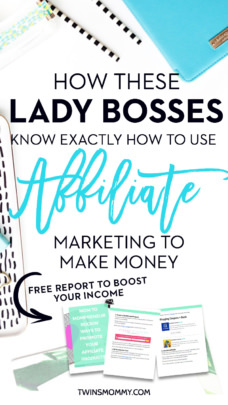 Whether you are doing affiliate marketing, selling a product or promoting your service, you can leverage your email list to grow your income. And you know what’s so great about this method of monetization? 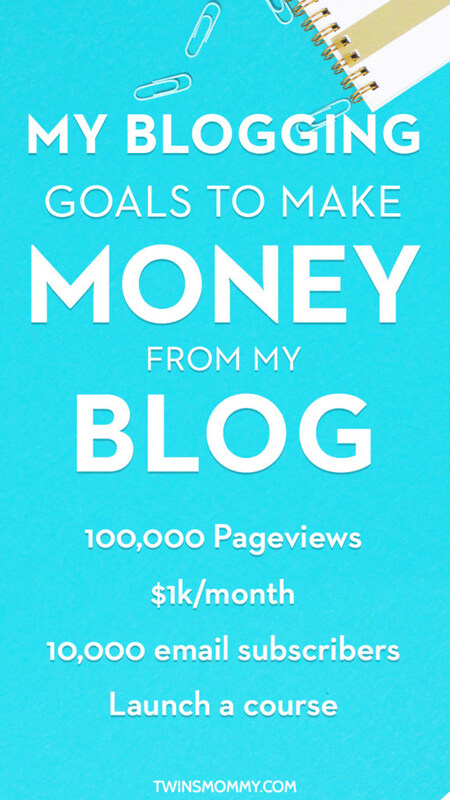 It’s a great way to get to know your audience, grow your traffic and make money from blogging! But, how do you get started with list building? I know what you mean. When I first started blogging, I had no idea how other bloggers grew their email list every month. 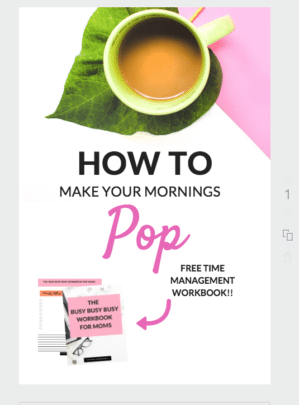 What were they doing and how come every week I see a post on a new freebie they created? You have a freebie already, but it’s not converting every day. Days go by, and no one signs up to your list. Does this sound familiar? 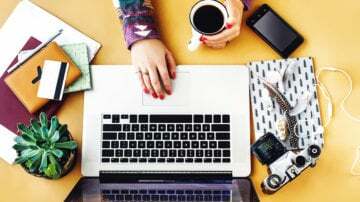 To help you boost your daily email subscribers, here are 11 easy ways to try out! Is your optin freebie valuable? What I mean is, is your freebie idea good enough to sell? Some of the best and highest converting optin incentives are ones that people would buy. For example, I’m always looking for printables for my twins. I specifically want curriculum based printable packets for pre-k that are already packaged for me. For some reason, I have a hard time finding these on Pinterest and Google. 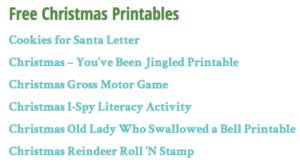 I get a mega post with mega links to these printables. This wastes time for me. I don’t have the time to go to all of these. I wish there were a packet with themes that I can download quickly. And sure I can bookmark this but in all honesty, once I bookmark something, I rarely go back to it. It’s out of sight, out of mind when I’m always busy with my business and twins. 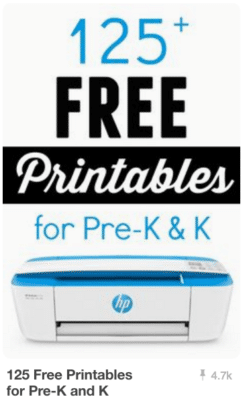 Wouldn’t that be awesome if a parent blogger or teacher blogger could create this type of freebie to offer as a way to grow their email list? I would gladly pay (and I have) for these types of learning curriculum pages. Those things make a freebie really valuable. Not only should you create one valuable freebie, but you should also create multiple optin freebies. This ensures that you’ll grow your list every day. These types of posts can help you realize that your audience is craving the topics in those posts. Look at those posts and develop a new freebie incentive. It might be an expansion of a sub-heading or the next stop of that post. Maybe your idea is more of an overview approach, whereas the blog post is more narrowed down. A landing page is one page on your blog that doesn’t have many distractions. There’s only one thing you can do: opt-in to your list. I don’t have my logo or menu on this page. This will help direct readers down the page to see what their call-to-action will be (sign up to the challenge!). And when you have a pin, you can schedule all your opt-in pins in Tailwind. Here are two of my freebies that I offer on Twins Mommy. Here’s my YouTube video on how to do this. A great way to get more subscribers every day is to share pins that have a graphic of your incentive that you offer. For some reason, pinners like to see what they will be getting. So, if you can show a few pages of what you are offering or a few snippets, then that increases the likelihood that a pinner will click and opt into your list. 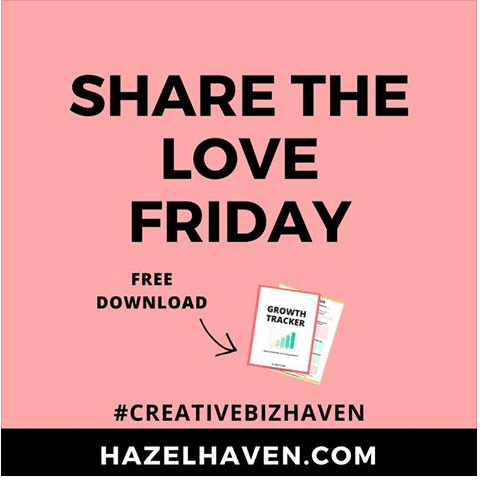 If you’re using Canva, you can download your freebie page by page. Then upload those pages to Canva. Now you can place them on your graphics. When you have a blog post with an opt-in form in the post or at the end of the blog post, it’s a good idea to create different pins to reach more people. You can change up the style of the pin, use different fonts and a different headline. 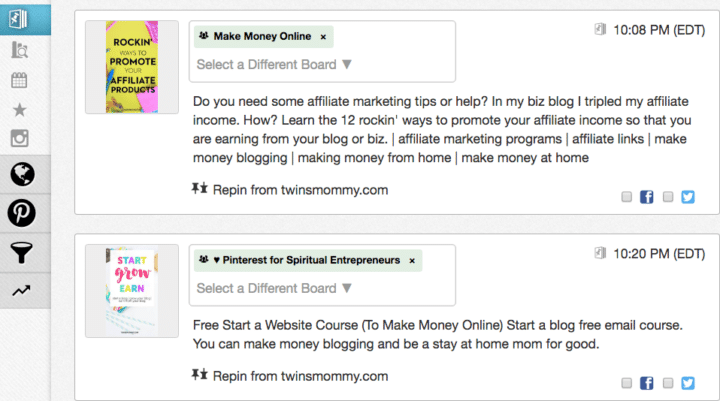 When you create multiple pins, you can place them in your blog post or upload them directly to Pinterest. 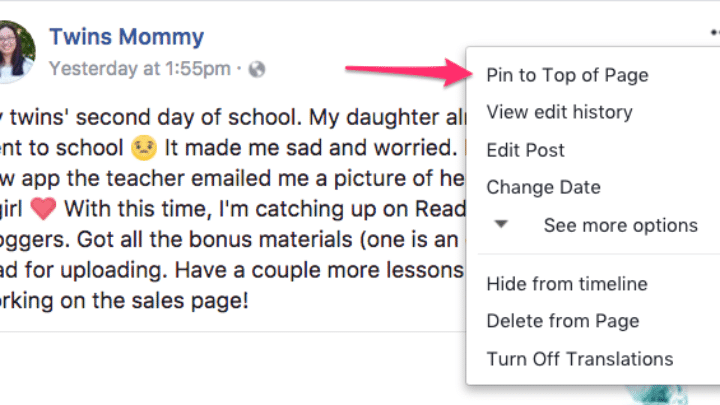 Here’s a video on how to add multiple pins for your blog post to Pinterest. 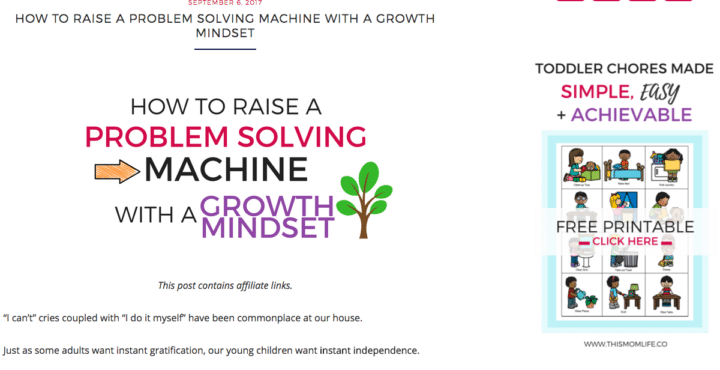 You can also create other graphics like an infographic for your blog post. 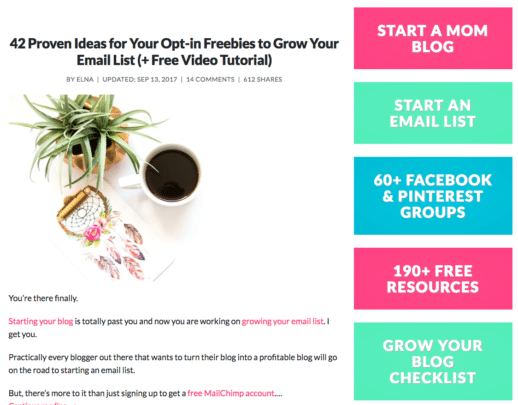 I recently created a post on 42 freebie ideas to help you grow your email list. I have an opt-in form in that post and to get more eyes on that post, I created an infographic. It’s a very (VERY) simple infographic that I can share on Pinterest. Infographics can serve as a way to get more repins and while I don’t need more repins (I need click-throughs to my site), an infographic can entice them enough to click through. Are you on social media? 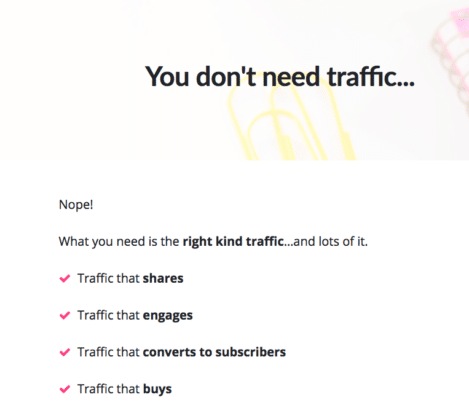 Social media is a great and free way to help you grow your email list (and traffic) for sure. 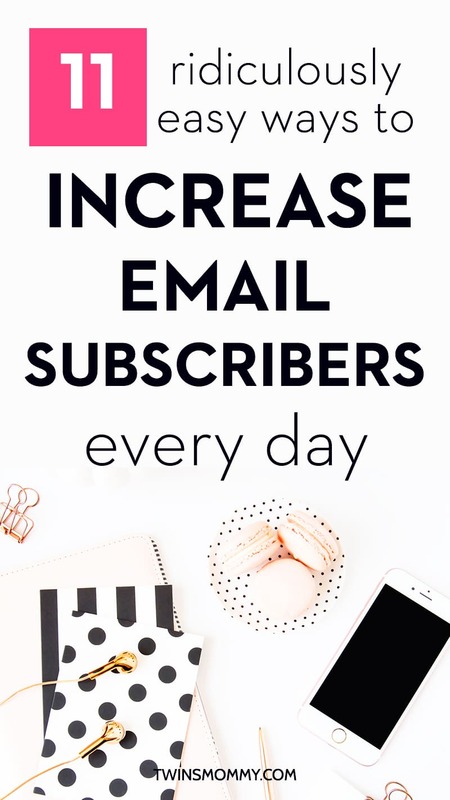 Here are two quick ways to increase your daily email subscribers. You can add emojis to get your post more noticed, but it’s not necessary if you have a very valuable freebie. When you create your post, click on the three dots in the upper right-hand corner. Click on Pin to Top of Page. There ya go! Your freebie is pinned. Now, when someone Likes your page and look at your posts, that’s one of the first things they see. Alternatively, you can also promote your freebie on your Facebook header image. Do you have a Twitter profile? You should! Even though it’s not a big driver for my traffic, it’s mostly automated, so I don’t go into Twitter that much in a month. But, I’ve grown my followers for years on Twitter, and I can still promote my freebie to these followers. With Twitter, you can pin a post. Click on the upside down triangle and click on Pin from profile page. 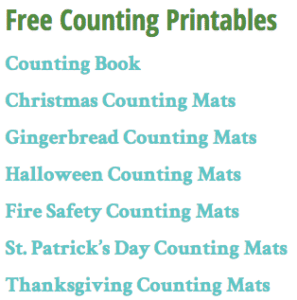 Whether you have one freebie or five, you can promote them on your sidebar. You can do this in many different ways. 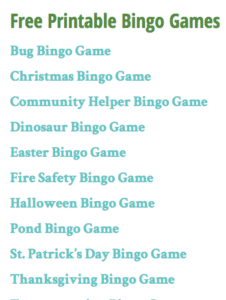 Bridget of This Mom Life shows her pretty graphics on her sidebar of what the freebie is to entice people to sign up. Personally, I just use color blocks to denote either my freebies or popular posts. Another easy way to promote your freebie on your blog is to place a link on your menu. You can call it, “freebies,” “free stuff” or “free resources” to let visitors know you have free stuff for them. I haven’t done this strategy for my blogs yet, but I’m always toying around with my menu! 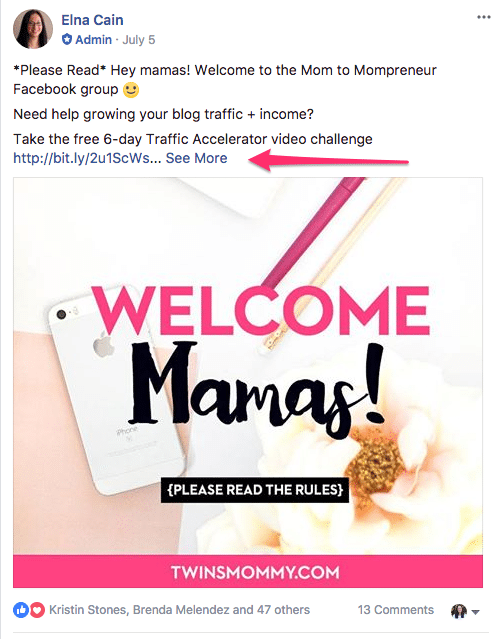 If you have a Facebook group, you can promote your freebies in your group. In your welcome pinned post you can share links to a freebie that you think will help your group members. Remember to put your link BEFORE the “see more” fold. This ensures that most of your members will see the link and be inclined to click on it vs. having to click one time before seeing the link and then clicking again. Another way to share your freebies with your group members is to place a little preview of your freebie on each of daily prompts. If you do a lot of email with new bloggers and upcoming clients, you can promote your freebie in your email signature. The more people who see your freebie, the more likely they’ll opt in! 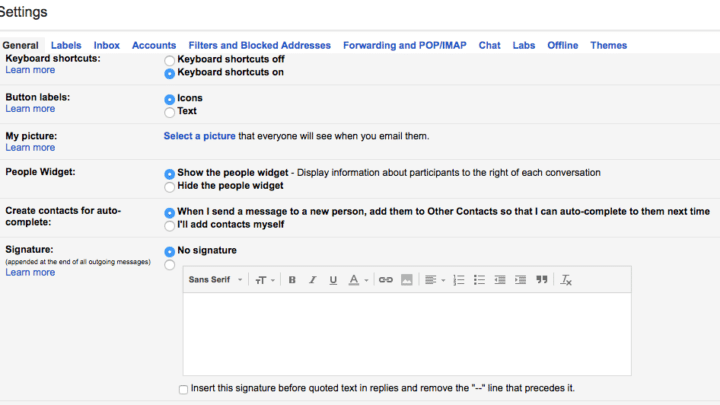 In Gmail under Settings, you can create your signature to include a link to your landing page of your freebie. A great way to grow your brand as a new blogger is to guest post on other blogs. 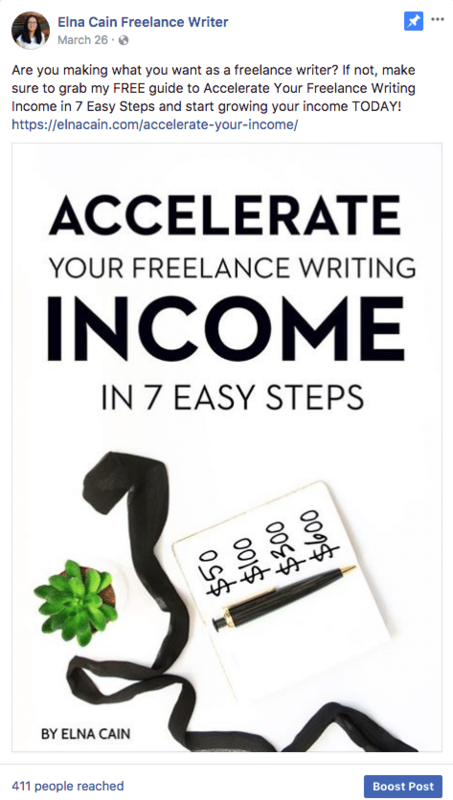 You can even get paid to guest post too! When you guest post you are allowed an author bio. This is a little blurb about the blogger who wrote the post. 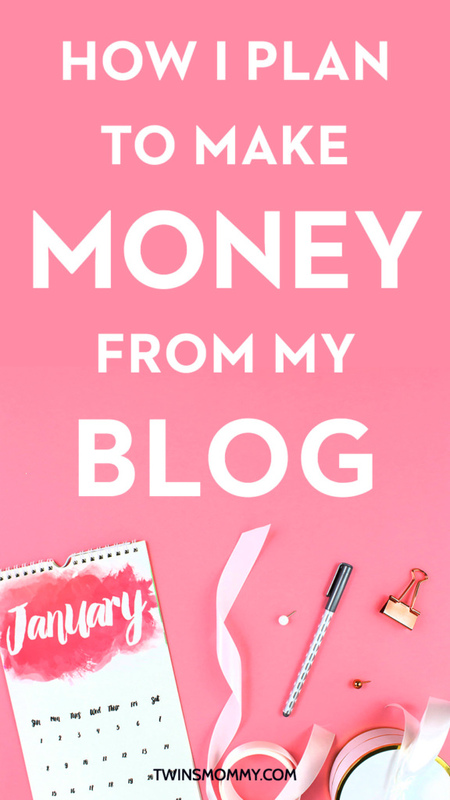 You can include what you do, your blog and a link to your freebie. In my Huffington Post of mompreneurs, I made sure to include my incentive idea of growing your blog checklist. Pro tip: make sure the freebie you link to relates to the guest post you wrote! This will make it more likely people will opt into your list. Ready to Start Growing Your List? If you only pick one or two of these tips, I’m sure you’ll see more email list growth! Imagine doing all 11 tips!! This is such a thorough post- thank you Elna! 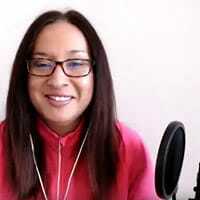 I am so excited to try these tips out and to see more awesome content from you. You’re welcome! So glad you found some list building ideas! Thank you so much.. I’m a brand new blogger and trying to figure this all out.. This has helped me. You’re welcome. 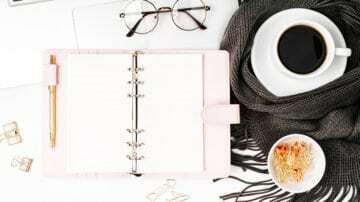 So glad you have an email list and you want to grow your list! Good luck! These are great tips! I do most of them, but I don’t have a dedicated landing page and don’t have them in my email signature. I’ll give that a shot! Awesome! So glad you found some tips to help you out! This is so helpful! Thank you for all the ideas and for breaking things down. Saving for later. Glad you found some ways to get more email subscribers! Thank so much. Yes, freebies are great that help others with their challenges and problems! I have read a LOT of information on blogging but I did not know how to upload a pin directly. That video is so useful! Thank you!! Thanks so much! Glad you enjoyed the video. Thanks so much for this! 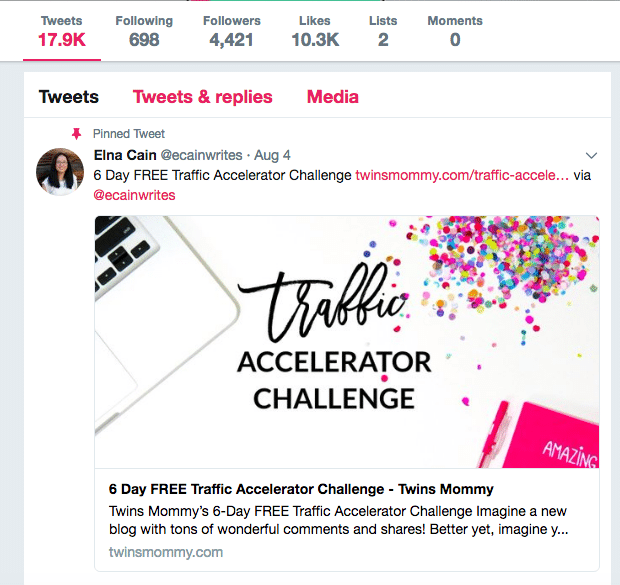 As usual, super helpful content for all of us mompreneurs! I’ve always wondered how people were able to get images of their freebies on their pins and now I get it… thx! Thanks so much mama! Glad you enjoyed the post! Wow! this is a GREAT post and just what I need! But, I have to pin it for later to get all this great info! Thank You! Thanks so much <3! So glad this was super helpful for you!